Thrace Pack stood out from the competition in Plastics Industry category, for the applied initiatives in Health & Safety that concern both the employees and the visitors of the Ioannina Plant. Thrace Pack participated in Category A’ «Companies, Agencies & Organizations» and the awarding ceremony was held on April 18, 2018 at the Stavros Niarchos Foundation. 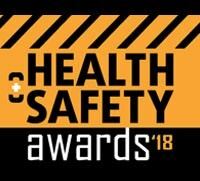 The Health & Safety Awards organisation’s aim is to reward the best practices in Health & Safety Management at workplaces of businesses, organisations, agencies and service providers.